"Don't Quit!....the battle of life is too important to become an observer from the sidelines! 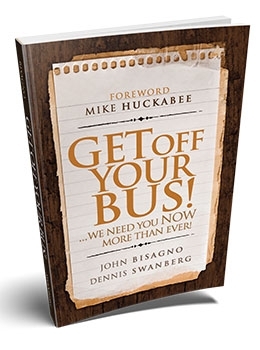 "Get Off Your Bus" will challenge you to think of the coming year ahead as the most important ones. Saddle UP Pilgrim and know that you're in for the Ride of Your Life!